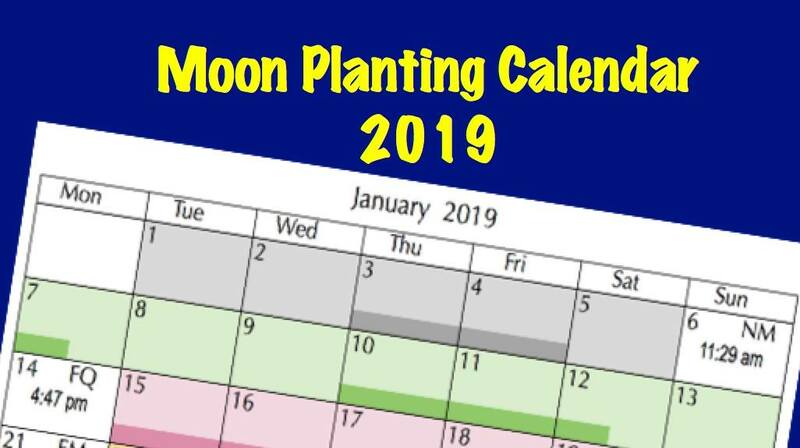 Nights are still cold in many areas of Australia and New Zealand, which can delay planting of seedlings that love warmth. Cold soils delay root growth and frosts can permanently damage delicate seedling foliage. 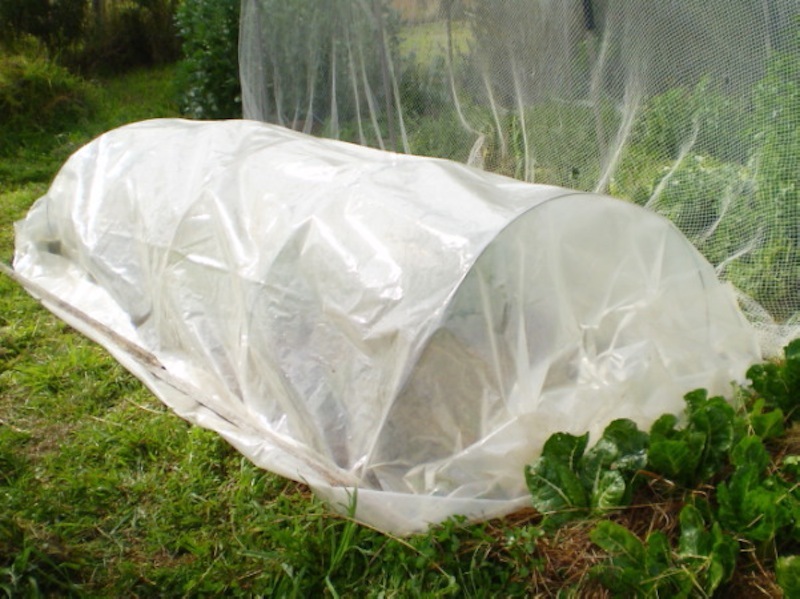 You can get an early start with seedlings by covering them with a cloche (French for bell). Originally, cloches were round covers to protect plants but the term has been extended to include tunnel-like structures. 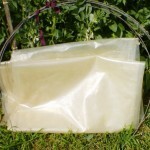 A simple cloche can be made from a length of clear, or light-coloured, plastic supported by hoops made from fencing wire or thin polypipe used for drip irrigation. Agricultural plastic used for igloos can be quite expensive but cheap plastic drop sheets, mattress wrappings, or any large sheets of plastic will do the trick because they will not be required to endure long periods of hot sun. 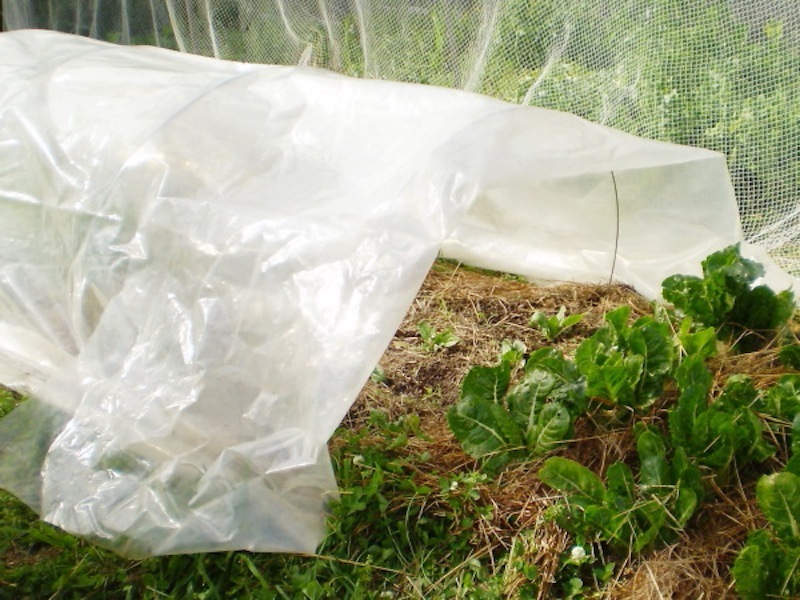 The length of plastic required should be long enough to cover the seedling area and have enough overhang to allow each end to be anchored. Fencing wire (4 mm) is fairly easy to find at home or at the local recycling centre in rural areas, but metropolitan gardeners will probably find it easier to use polypipe and some wooden dowelling. 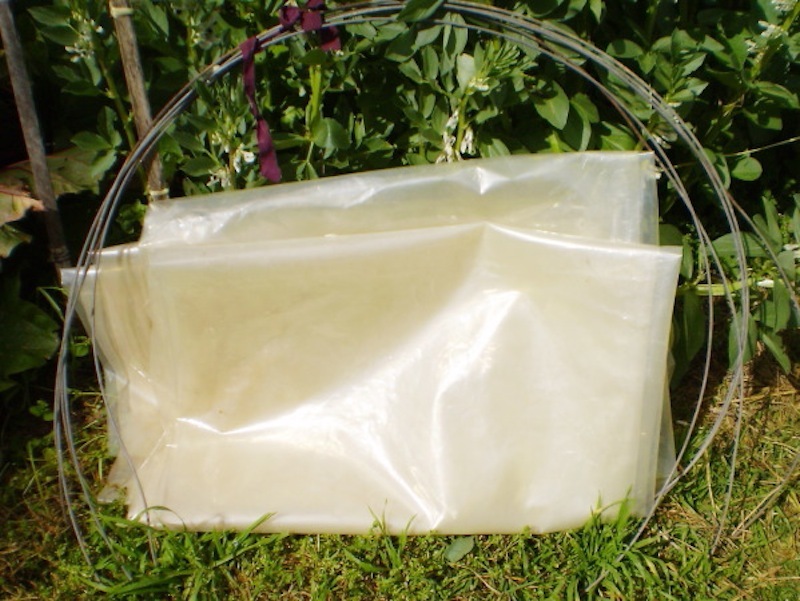 Support hoops should have a generous curve so that foliage of the seedlings closest to the edge of the bed do not come in contact with the plastic cover, as this will result in cold being transferred from the plastic to the plant. For wire hoops, cut the wire 1.6 times the width of the bed, and push the ends of the wire into the soil. Polypipe can be cut 1.5 times the width of the bed. Support the hoops on 30 cm lengths of dowelling, pushed halfway into the soil. 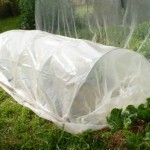 Cover the hoops with the plastic, anchoring the sides of the cloche by lying garden stakes or pieces of timber along the edges of the plastic. The ends can be pulled down, folded to enclose the structure, and anchored with a piece of wood. Thin plastic can be loosely tied in a knot, and anchored with a tent peg. 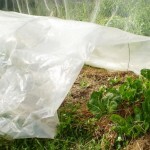 Use something to anchor the ends that is easy to remove because, during daytime, the ends are folded back across the hoop to allow good air circulation around the seedlings. When nights become warmer and seedlings are well established, the cloche can be folded and stored in an unobtrusive corner until needed again. This entry was posted in Fruits and Vegetables, Garden projects and tagged Aussie gardening, Australian gardening, cold protection, easy organic gardening, environmentally friendly gardening, flowers, frost, fruit, garden soil, growing plants, Healthy soil, Herbs, how to grow, organic gardening, plants, propagating, seedlings, sustainable gardening, vegetables. Bookmark the permalink.